FREE VIDEO; Bramble Bank at low water springs CLICK HERE. Rupert is stood on the highest part. THE book uncovering the secrets of racing in the Solent. Graham Sunderland, a professional navigator/tactician and author of Winning Tides, and yachting journalist Rupert Holmes have put together the ultimate local knowledge book of this popular racing area. 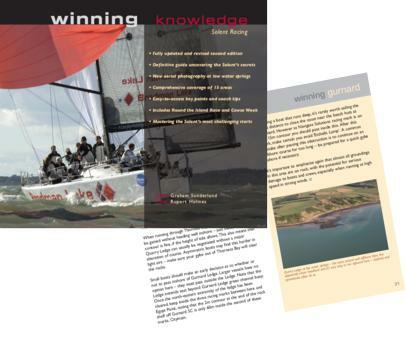 Intimate local knowledge of the ways in which wind patterns, tidal flow and hazards in each of the different regions within the Solent shape race-winning strategy and tactics is vital to success. This is the first-ever book to combine these elements. 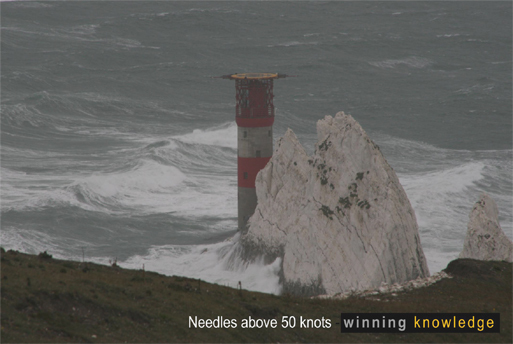 15 areas from The Needles to No Man's Land and Horse Sand Forts are covered in detail, including easy-to-access key points, expert advice for a range of typical scenarios, and coach tips to put a perfect gloss on your performance. Further sections cover the intricacies of starting races from Cowes, plus everything you need to know about the Round the Island Race.